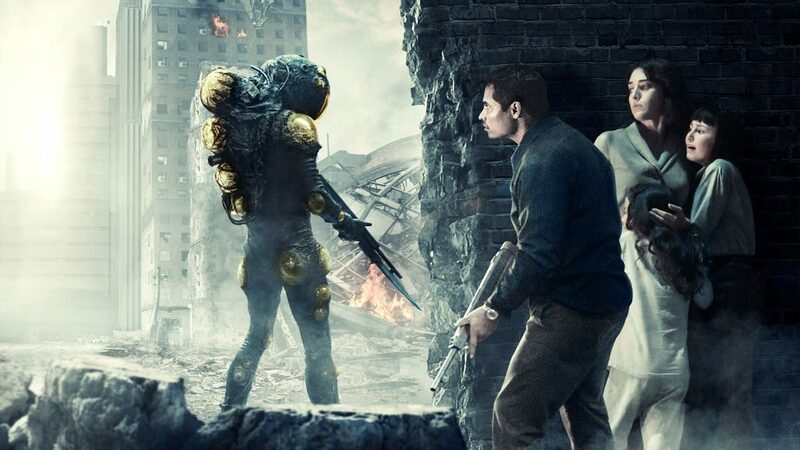 Extinction is a sci-fi/thriller from director Ben Young. 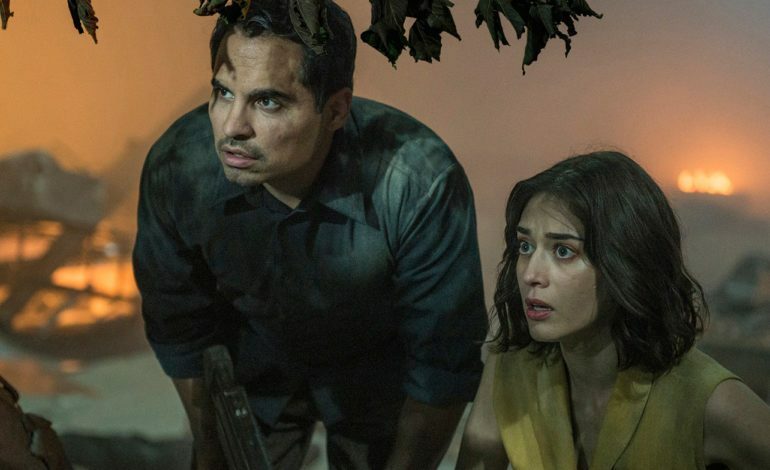 Set in the near future, this story follows a factory worker named Peter (Michael Peña) who has reoccurring nightmares that an unknown force will invade Earth, which of course becomes a reality. I did not know much about this movie outside of the cast and after seeing it, I can understand why it was straight-to-Netflix. On a technical level, Extinction is not all that special. Ben Young’s direction is fine but nothing noteworthy aside from some tense moments. The cinematography is better in that respect, but the lighting looks off in certain scenes. The set design looks good, yet it is not utilized to its fullest potential because this world looks futuristic, yet doesn’t feel that way. The music is also forgettable. The performances in Extinction are better but that still is not saying much. I was not sure what to expect with Michael Peña as the lead role, but he portrays Peter pretty well even if his character is not very interesting. Lizzy Caplan is great as Peter’s concerned wife Alice, but her character is also not given much to do. My least favorite characters were Peter and Alice’s two children who spend most of the movie crying. I understand if they are scared but they cried so much that it started to become grating. The screenplay of Extinction is where I had the most issues. The movie has an interesting set-up that still feels somewhat generic. There is a fascinating idea that I wish the movie explored more. I also wish the movie was more psychological instead going into the invasion so soon. Extinction has interesting ideas and cool scenes but for the most part feels forgettable. It is not bad enough to make me mad but I would feel probably more upset if I saw this movie in a theater.